Timber Tree Service earned its fine reputation the old fashioned way; through hard work and treating every customer with respect and prompt friendly service. Many references available! 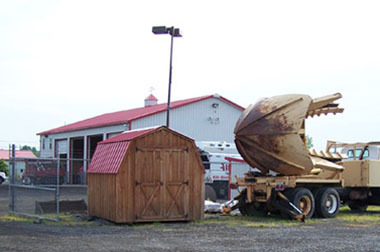 Although we are based in Baldwinsville, NY, we service the entire state of New York. Insurance companies will almost always require that a New York State Certified Arborist be employed to determine tree values to settle claims. You can be assured that the professionals at Timber Tree Service will work in the best interest of their clients. Our workers take pride in tackling even the most difficult, large scale tree removals, always striving to provide our customers with quality work at a reasonable price. Customer satisfaction is important to us and we know our business depends on it. Timber Tree Service specializes in hazardous tree removals including trees which are located in precarious areas such as next to homes or businesses - or dangerous power lines. We are fully insured and experienced when it comes to these types of tree removals. Stan Dombroski, the owner, is a certified arborist with several decades of experience. Storm damaged tree removals most often require some delicate and careful work to protect your property from further damage. Thank you for visiting our site and we hope you enjoy browsing though our pages. Check out our media gallery for some photos and videos of our crew in action.